A chance conversation with one of my beer sluth friends got me thinking back to the good old days, when men were men and beer was tasteless and clear. As I've mentioned once or twice in these pages, my beer life is long. I consumed my first beer more than a half century ago. That was possible because I had parents who thought a bit of drinking was fine and dandy, so long as it was controlled and done at home. Even after they divorced, they continued with that policy. I was always free to enjoy a beer or two, regardless of where I was staying. By the time I reached high school, I knew a bit about beer. Many of my friends, who had been forbidden to drink a drop, were hungry to catch up as fast as they could. It was somewhat curious and amusing to see them chasing after beer and other forbidden alcoholic fruits with gusto. Lucky Lager, for better or for worse, was the beer of choice. At the time, it was brewed in Vancouver, but no one in remote, rural eastern Washington had a clue about that, and wouldn't have cared in any case. Lucky was everywhere. And people liked it for some strange reason. One of the more comical experiences in my beer file happened early in high school. A good friend somehow got himself hired to load beer delivery trucks at a small distributor in Clarkston. He was all of 16 and naturally needed help loading those trucks. Lucky for him, he had friends willing to lend a hand. The brands available through this distributor included Lucky Lager, Budweiser, Schmidt, Buckhorn and a few others. There was no Bud Light in those days...that came later. But there was Michelob, widely regarded as a sort of gold standard, and the distributor had it. About the only strict rule we had to follow involved breakage. Any time a case or six-pack or 12-pack was broken, the remaining beer was relegated to the breakage cooler. The beer in that cooler was fair game. It could be consumed on site or taken home with permission. I'm sure it was all perfectly legal. Needless to say, there was a fair amount of breakage that summer. Dammit. I don't recall ever loading kegs into the distributor trucks. That seems a little odd in retrospect. I suppose maybe the guy's franchise didn't include draft beer, that he was strictly providing packaged beer to stores. That seems strange, but I have no idea what his operational guidelines were. When you have teenagers loading your trucks, you can't have a lot of guidelines. If our guy didn't have Lucky Lager in draft form, he wished he did. The stuff was wildly popular in those days. All the taverns and bars had it. If you were having a kegger at your house or on a beach up the Snake River, you could acquire a keg of Lucky for around $30. It wasn't cheap. It was inexpensive. Everything else cost more, in some cases a lot more. A nice insult to reasonable intelligence occurred at the end of my junior year, when we held a celebratory kegger up the river. This was during the school day and organizers had done a poor job forecasting attendance. Thus, the keg ran dry early. That prompted a 25-mile trip into Lewiston, where the drinking age was 19, to purchase a keg of Lucky at a bar. Brilliant. How we made it through high school I'll never know. But Lucky Lager's fingerprints are all over that experience. 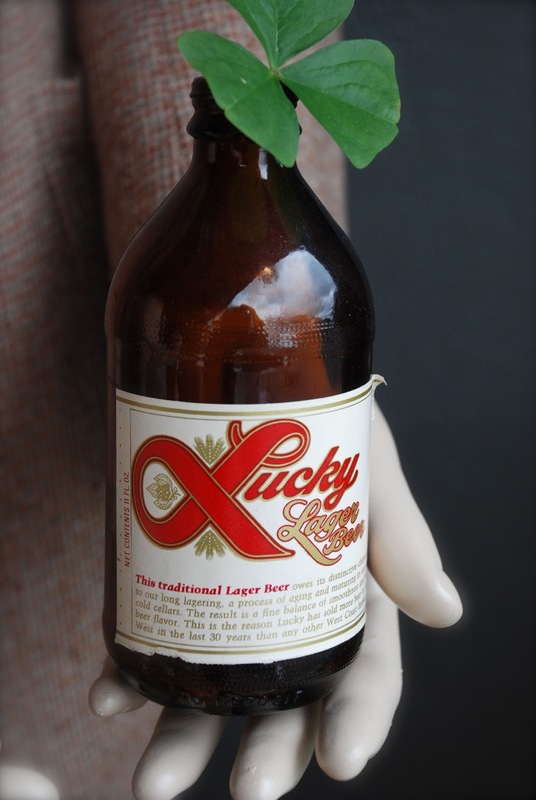 Lucky left Vancouver (General Brewing) in 1985 and the Northwest in 2003, It's currently brewed at a factory brewery in Southern California. I haven't consumed it forever and have no plans along those lines. Nonetheless, I remember when it was fab.